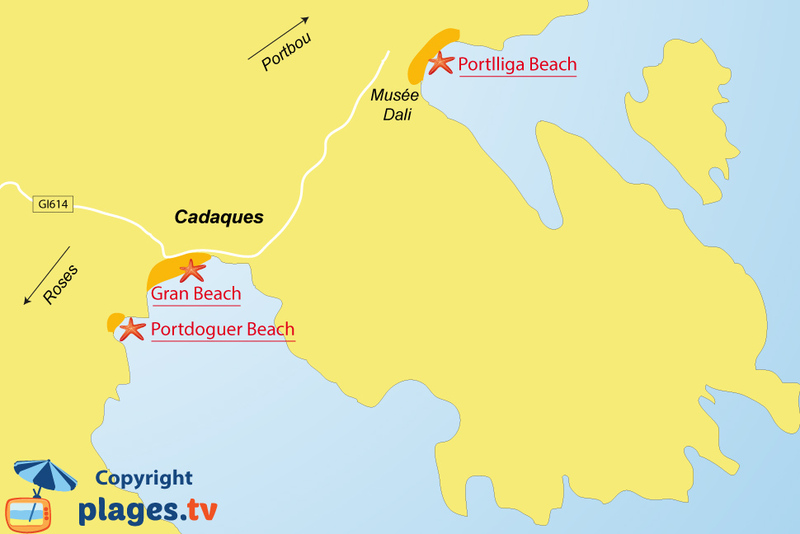 You will find 3 beaches in Cadaqués :3 sandy beaches, 3 pebble beaches and 2 creeks. Located north of the Costa Brava, a few dozen kilometres from the French border, you must visit Cadaques in Catalonia. Here, you will find the former fisherman's house of Salvador Dali, in Portlligat (he transformed it into a luxurious home). The village of Cadaques and its surroundings have been completely preserved (no buildings of the 60s). 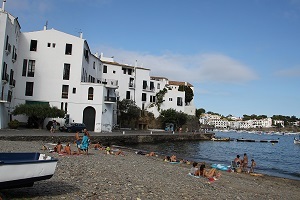 There are several beaches in Cadaques but must people do not come here for the beauty of its beaches (they are mostly pebbly are narrow) but for the charm of its setting with its beachfront houses whitewashed and narrow streets with many squares. The surrounding coast is rocky and hides some nice sandy coves. However, this part of the coast is often swept by the north wind, making it very difficult and unpleasant for swimming. 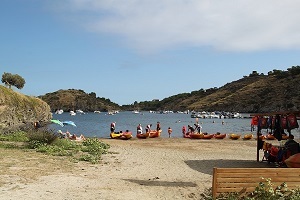 Many excursions are possible including the route of Dali and the one that reaches the Cap de Creus. Dali's house can be visited (in the summer, if you have a lot of patience, because the number of people is limited to 8 per hour). 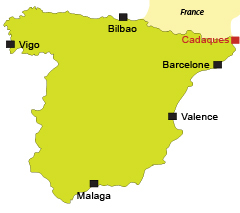 Heading north, you can reach France by winding roads that offer unique views (there is also a hiking trail to reach Collioure, ideal for exploring the Costa Brava and the Côte Vermeille). To the south, the beaches of Roses and Empuriabrava are larger and made of sand (it is on a part of the coastline disfigured by the buildings of the 60s).